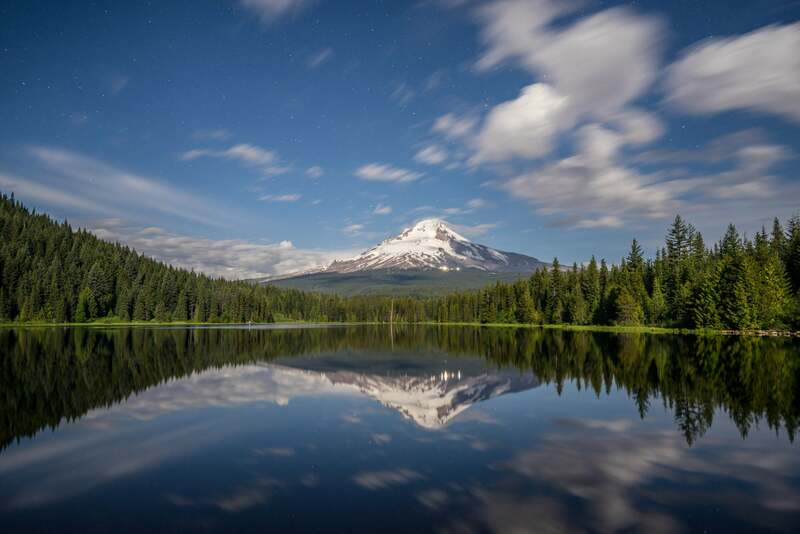 What makes a great lens for landscape photography? 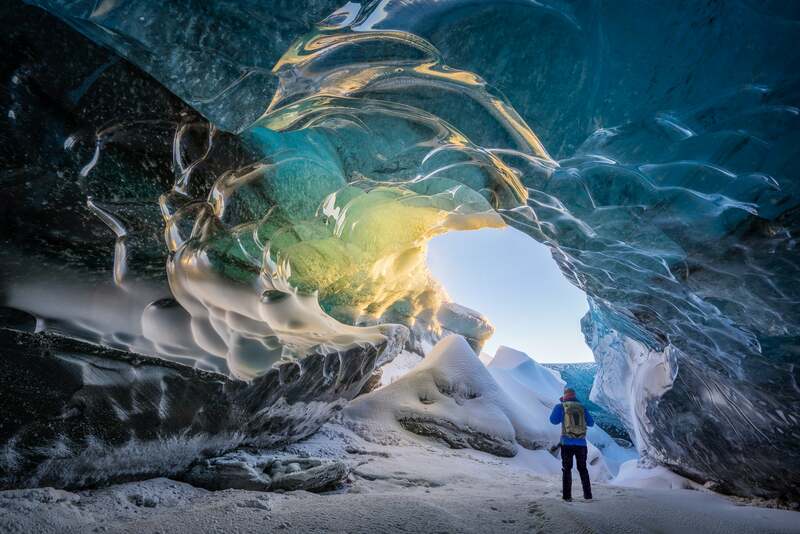 We reached out to the Sony Artisans Of Imagery to find out what the best of the best use to get photos that inspire and entice the imaginations of the viewers. See what Joe Brady, Colby Brown, Chris Burkard, Gary Hart, Andy Katz, Spencer Pablo, Thibault Roland and Don Smith have to say about their favorite landscape lenses—why they’ve chosen their lenses and how they use them to capture the decisive moment. Choosing a favorite lens for my landscape work is a little bit like choosing my favorite food - it depends on the location, the environment and what I’m in the mood for. That said, having to pick one lens I choose the FE 24-70mm f/4 ZA. The reason for this choice is a combination of versatility, performance and low weight. I find the lens sharp throughout its aperture range and this gives me the flexibility I need to best capture each scene. As a landscape photographer my goal is to both create a portrait of the place that tells a story as well as providing features that draw you into the photograph. Shooting near 24mm allows me to include close-up foreground elements that help to create dimension and distance while keeping everything in focus from near to infinity. Shooting between 50mm and 70mm allows me to get a bit closer and provides a perspective closer to that our own eyes see. As I am a big fan of panoramic photography - which is well-suited to many of the places I visit - shooting multiple frames vertically gives me both a normal perspective and covers the foreground to sky in each frame. While I shoot both wider and longer lenses depending on the needs of the scene, the FE 24-70mm f/4 ZA remains my “walking-around” lens of choice. My favorite lens is the lens that allows me to do what I need to do at that moment. In fact, to avoid biasing my creativity, I consciously avoid approaching a scene with a preconceived notion of the lens to use. Because the focal range I want to cover whenever I’m photographing landscapes is 20-200mm, the three lenses I never leave home without are my FE-mount Sony Vario-Tessar T* FE 16-35mm f/4 ZA OSS, Sony Vario-Tessar T* FE 24-70mm f/4 ZA OSS, and Sony FE 70-200mm f/4.0 G OSS. 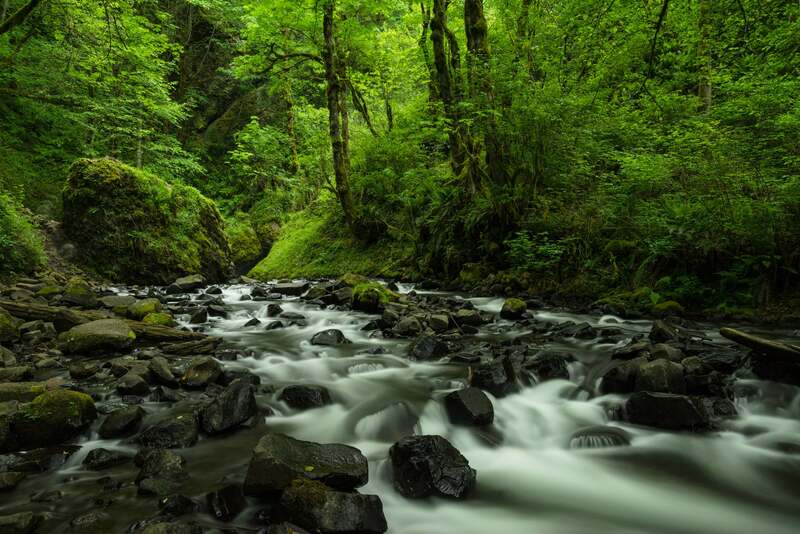 As a landscape shooter, I often find myself on the trail, scrambling up and down steep terrain, or rock-hopping creeks to get my shot. So I love the sturdy compactness of these excellent Sony f/4 lenses. My macro, my wide and ultra-fast prime, and my ultra-telephoto are specialty lenses that often stay behind unless I have a specific plan for them. When photographing any landscape, I visualize my composition before selecting a lens. Not just the composition's lateral (left/right and up/down) components, but its front-to-back components as well. If it’s a broad landscape, I go with my 16-35 and try to find something for the close foreground. When I want to isolate a distant subject, or compress near and far elements, I reach for the 70-200. And the 24-70 is perfect for those times I don’t want to go too extreme with my focal length. 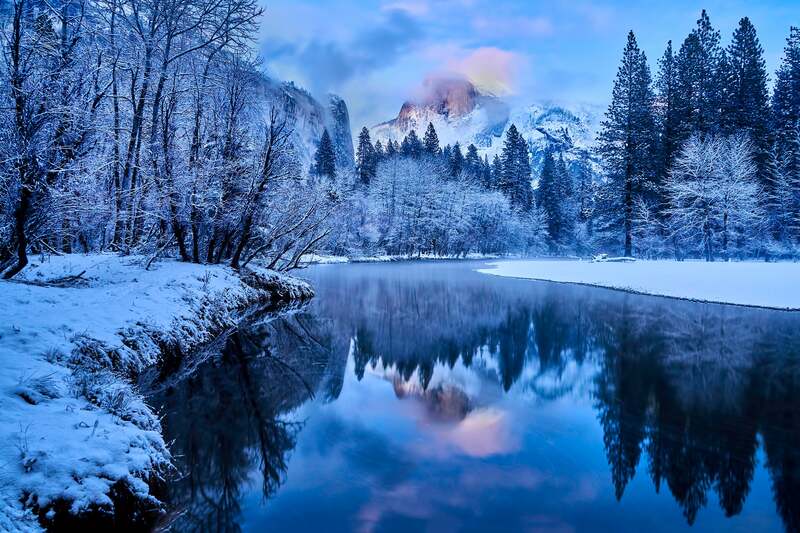 Winter Twilight Reflection, Half Dome, Yosemite National Park, California. In this image from the same location, the highlight of the scene was wintry landscape. My 24-70 in horizontal orientation enabled me to include the snow-etched shore and glassy river, while going a little tighter on Half Dome. Sony α7R II, Sony Vario-Tessar T* FE 24-70mm f/4 ZA OSS at 24mm, 30-sec, f/8, ISO 100. 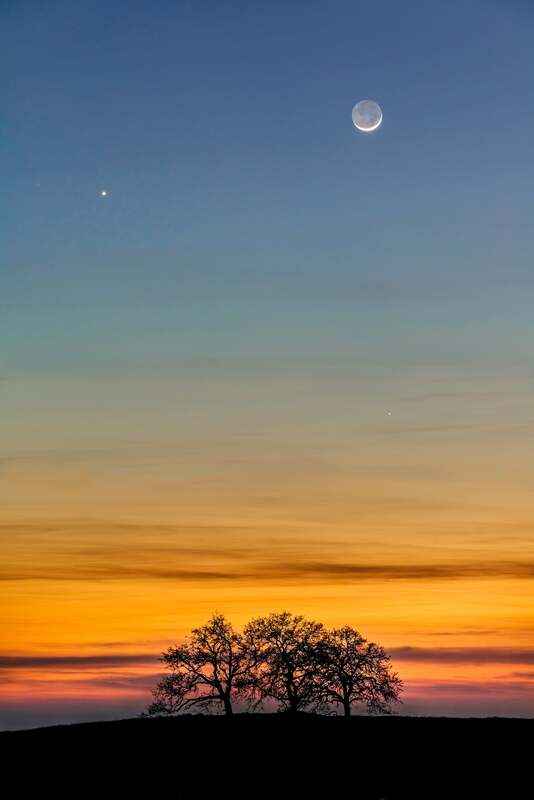 Heaven and Earth, New Moon and Venus, Sierra Foothills, California. When I want to emphasize the moon, I reach for my Sony 70-200 f/4 lens. Not only does it enlarge the moon, brings distant terrestrial objects like these hilltop trees closer. Sony α7R II, Sony FE 70-200mm f/4.0 G OSS at 139mm, 2-sec, f/8, ISO 400. Using wide-angle lenses is about more than just getting more of the scene in your shot. 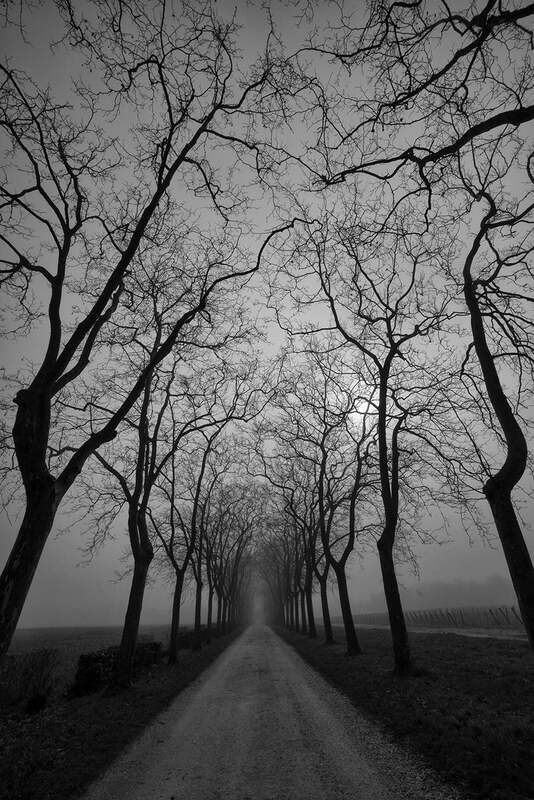 One should also start thinking about depth, or at least creating the illusion of depth through near/far relationships. In this image of a beautiful rainbow at Kauai’s Hanalei Bay, I used the lens at its widest focal length of 16mm. The image was more about capturing the entire rainbow and coupled with the full frame Sony α7R, I accomplished my goal. Hanalei Bay, Kauai, Hawaii. I did indeed look for a foreground to put with this scene, but the surf was unusually gentle and foreground became more of a distraction. In this frame, I decided to just frame the rainbow and the old wooden pier. Sony α7R, Sony Vario-Tessar T* FE 16-35mm f/4 ZA OSS at 16mm, ¼-sec, f/18, ISO 100. When it comes to finding the right lens for landscape photography, there are a number of things that I look for. First, I need a nice wide angle of view. For me, landscape photography is often about finding beauty in the big and beautiful world around us. Second, it needs to be portable. Often times I am working in remote locations and I don't want my lenses to weigh multiple pounds each. Third, it needs to be sharp. From corner to corner, there needs to be a certain level of overall sharpness that helps to allow my images to feel as if they are coming off the page (or out from your screen). And lastly, it needs to play well with filter. 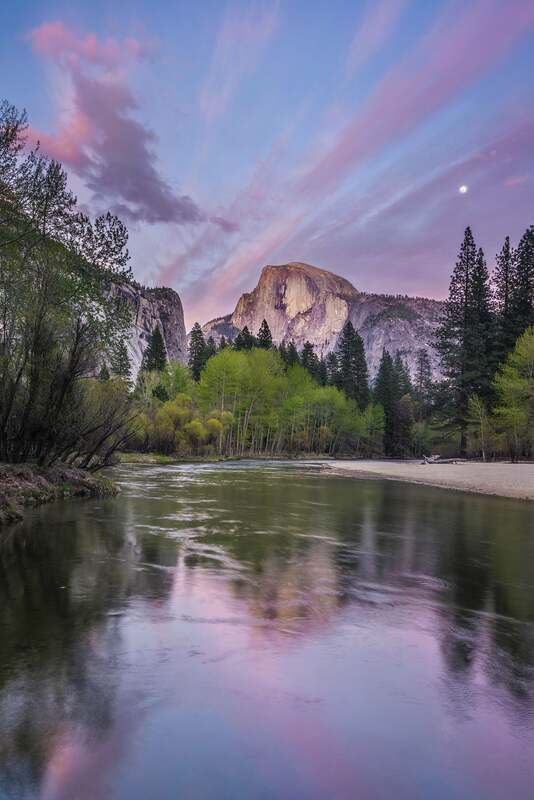 As a landscape photographer, I am often using a circular polarizer and ND filters to help me cut down on reflected light and slow down my shutter speeds with moving water receptively. Hands down the 16-35mm f/4. It’s one my favorite lenses - I never go on a trip without it! I shot the photo shown here with the 16-35mm in Wanaka, New Zealand atop Mt. Roy. Due to the elevation and weather it was probably -5 F; when you are shooting these kinds of conditions, build quality is really important. I've put this lens through more harsh conditions than the average person ever will, and it has never let me down. In situations like this I don't want to have to be fumbling around switching lenses, so I love the zoom functionality because it allows me to shoot a range of compositions quickly and efficiently. The last thing I want to be thinking about is gear. I think it's really important to minimize the number of things that go into capturing an image; not only does it make it easier for you to capture the imagery you imagine, but it makes the whole experience richer! The 16-35mm is a favorite go to lens, but I find the Sony FE PZ 28-135mm f/4 G OSS to be really nice and I have been using it often. It’s optically exceptional, and quite versatile: even though some might consider it to be a little long for a landscape lens, it allows me to capture unconventional images. It’s a fast and very sharp lens that can also be used for street photography and it delivers a nice and smooth bokeh when used wide open. I love using wide angle lenses because they give a unique perspective and, when used correctly, a wonderful feeling of depth. My favorite lens for my landscape work has to be the amazing Sony Vario-Tessar T* FE 16-35mm f/4 ZA OSS. It’s blazingly sharp small and it’s built beautifully. It’s also a very lightweight lens. This is what I love about the combination of the a7 and these remarkable zoom lens. In the old days I would shoot medium format film with fixed lens. I would never have thought to use a zoom in those days because the zooms really didn’t cut it. The first zoom lens that converted me over was the Zeiss 24-70mm f/2.8. Later I realized that zoom lenses made for the Sony cameras are actually incredible. The 16-35mm f/4 lightened my load so much! I’m a one-man show. I have no assistants and I travel to really remote areas. Having lightweight gear is a dream come true. I make the majority of my living selling prints at fine art galleries and many times those prints are quite large. Any flaw optically would be quite pronounced in a large print. The 16-35mm is outstanding and I have no problems making 30x40 inch and 50x60 inch prints from photos taken with it. Another advantage of the 16-35 is that at 35mm it’s a wonderful lens for photographing people with a story behind them or getting tighter a little tighter on the landscape. My go to lens is the Sony Vario-Tessar T* FE 16-35mm f/4 ZA OSS followed by the A-mount Sony 24 -70mm f/2.8 Carl Zeiss Vario Sonnar T Zoom Lens. Many beautiful areas I have been to are so vast that you need the ultra wide focal length that the 16-35mm lens provides. I love that it's sharp in any aperture I throw at it. I find myself mating it with a 10-stop ND filter and still stopping it down to f16--and the output is so crisp!. I go to the 24-70mm because it’s such a versatile lens for me. On my full frame camera, I find this range wide enough for a good chunk of the photos I take and yet has the reach for me to close in on something of interest. The overall optical quality is great and sharp, especially around f/8 and the colors are bold yet true.